As a big city, Chicago did great job of beautifying the area using nature. There are countless parks, big or small, scattered around. Grant Park is one of the most well-known among all of them. 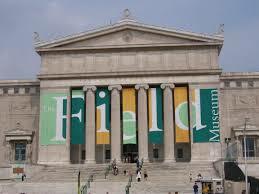 It has been referred to as Chicago’s “front yard” with 319 acres located by the Loop. The park’s structure is based on French parks with geometric designs. The actually park is divided in sections by rail ways with lawns, flowerbeds, a statue of Abraham Lincoln and the Buckingham Fountain. In addition, Grant Park is known as hosting all kinds of music festivals. Lollapalooza, one of the most famous, is hosted in Grant Park during summer every year. It attracts hundreds of thousands of tourists to come to Chicago to join in on this great event. Lincoln Park wasn’t called Lincoln Park before 1865. Shortly after the assassination of Abraham Lincoln, the park was renamed in his honor. Lincoln Park located along the lakefront from Ohio Street Beach to Ardmore Ave. In Lincoln Park, “City in a Garden” became reality. There are lots to do inside of the park, including the Lincoln Park Zoo. As one of the oldest zoo in America, Lincoln Park Zoo is home to a wide variety of animals. The zoo's exhibits include ?big cats, polar bears, penguins, gorilla, reptiles, monkey and other species totaling about 1,100 animals from some 200 species. If I have to make this list, there must be a spot for North Michigan Ave. North Michigan Ave also called the Magnificent Mile, is one of the greatest avenues in the world. It can be on a par with 5th Ave in New York and Champs-Elysees Ave. There are thousands of malls, hotels and restaurants gathered on North Michigan Ave. If you are a shopper, you will feel like in heaven! From low-priced brand like Zara and Gap to luxury stores like Burberry, Armani or Ermenegildo Zegna, you name it!